Natural wear and tear, dental decay, and even unexpected accidents can all leave a tooth looking and feeling far from its best, limiting a person’s oral function and weighing down their confidence at the same time. Fortunately, rebuilding a person’s smile is as easy as receiving a new dental crown here at Monet Aesthetic Dentistry. 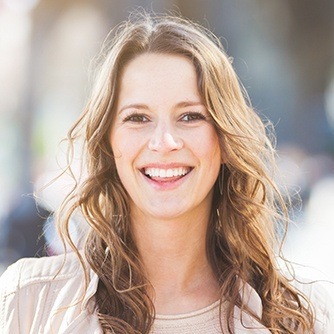 Dr. Metzger uses her years of experience and the most natural-looking materials to repair teeth in such a way that it looks like nothing ever happened to them. 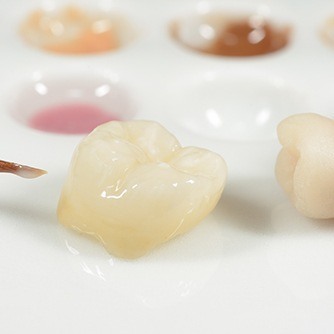 Crowns can be made of a variety of materials, ranging from strong and durable metal for the back teeth to beautiful and natural-looking porcelain for the front teeth. Which material is right for you? Dr. Metzger can help you decide when you come to see us. Dr. Metzger will first numb the tooth. Then, she’ll gently remove any damaged or decayed enamel. She’ll take an impression of the tooth, and this will be sent to a lab to fabricate the final crown. The patient will then be fitted for a temporary crown. A week or so later, they will return to our office to have the temporary removed and the final crown cemented into place. After checking the fit and making sure the patient’s bite is properly aligned, they are ready to go. 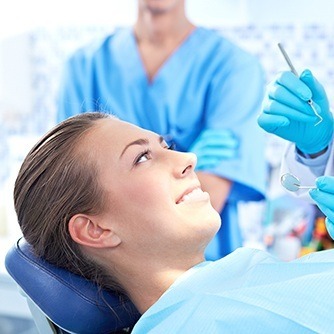 Many patients experience a slight uptick in dental sensitivity right after receiving a new dental crown, but this usually subsides after just a few days. Fortunately, making sure that your crown lasts for as long as possible just involves taking care of it like your other teeth. Consistent brushing, flossing, and routine dental checkups will ensure that the restoration looks beautiful and stays strong for well over a decade. If you have a tooth that is hurting, you can get it fixed right now at Monet Aesthetic Dentistry. Just give our office a call, and in two easy appointments, you’ll have a brand-new tooth that you’ll never have to give a second thought!